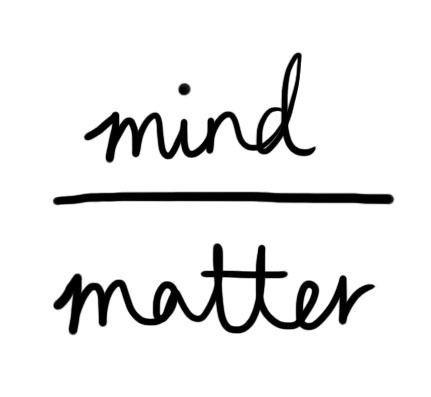 Show a bit of love every day! 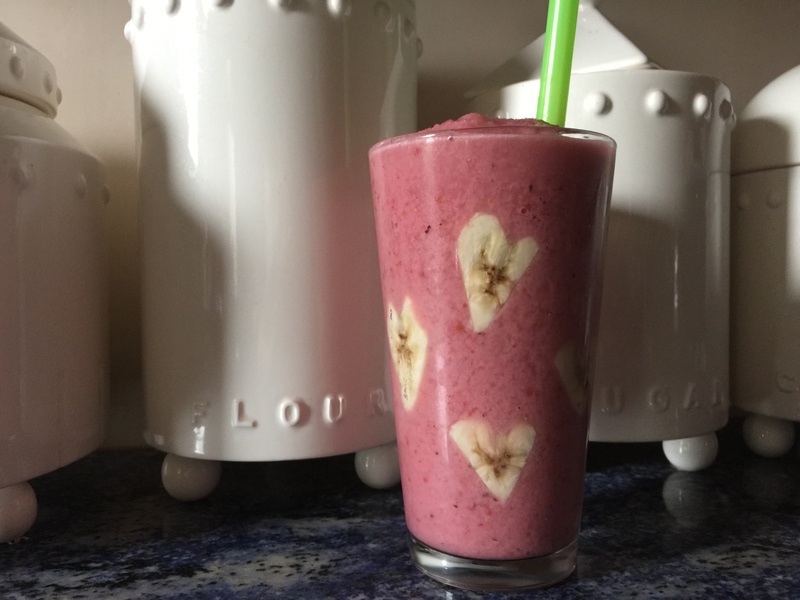 How about a classic strawberry banana smoothie for your morning get up?! It’s cool, it’s refreshing, it’s perfection. Plus it puts a little smile on your face with some extra creativity with the bananas! 1. Place all ingredients into a blender and enjoy that happiness! 2. 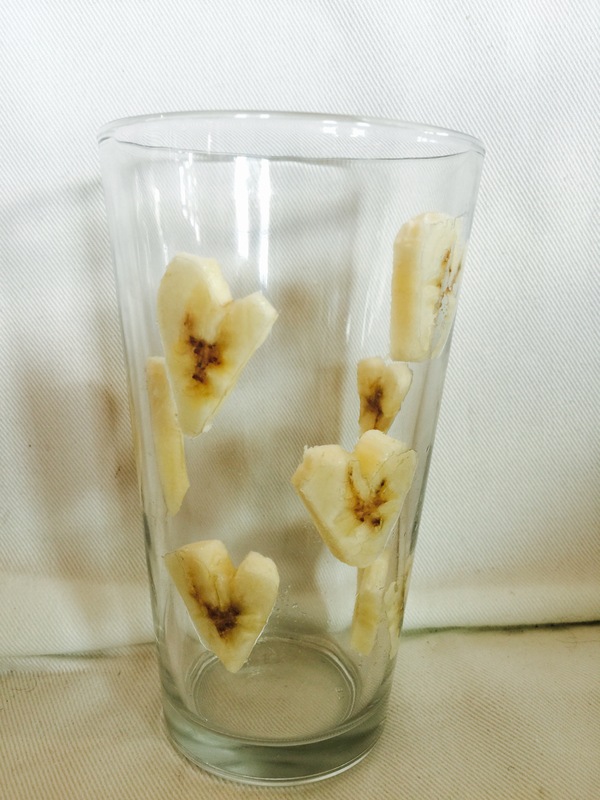 To make the banana hearts on the glass, take your banana slices and cut them into a heart shape. Then take eat heart and stick it to the inside of a dry glass. Press down on the hearts to make sure that they are suctioned to the glass. 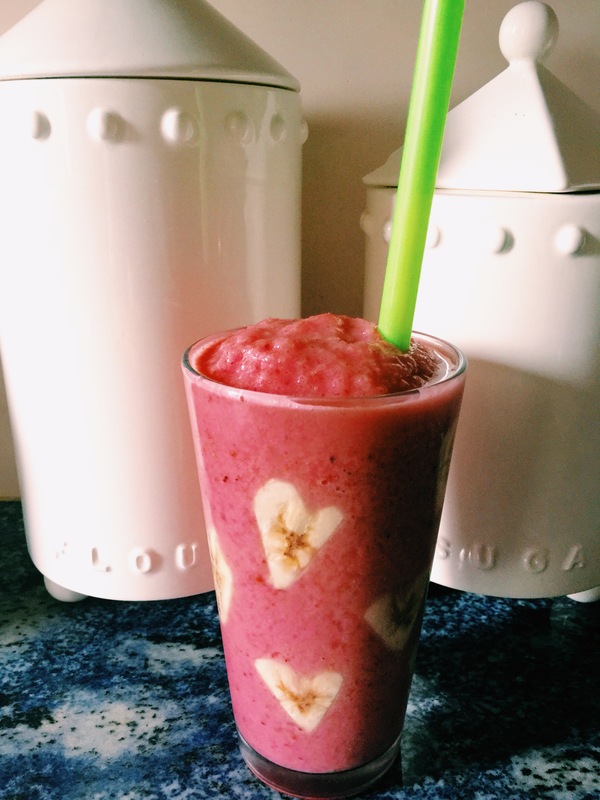 Then with a ladle, spoon the smoothie into the glass and enjoy! To make it a well rounded breakfast, add a scoop of protein powder for that must-have protein! I use Vega Vanilla Protein (Amazon Affiliate Link). It contains only 160 calories, less than 1 gram of sugar (from whole food ingredients) with no added sugar, 20g of plant based protein, gluten free, dairy free, soy free, and has 6 servings of your daily greens. Woot!